I met Jane Austen through my parents. She occupied a top bookshelf between Aristotle and Balzac, wearing the same tan tweedy jacket all the Great Books wore. From my teenager perspective, she seemed as accessible as a marble goddess in a museum. Nonetheless, one acutely boring day while wondering WILL I EVER ESCAPE THIS SMALL TOWN, I found myself precariously bereft: between books with nothing to read, and decades before the day of instant downloads. Thus, the annoying choice: either not read, or resort to my parents’ Great Books collection. I pulled Sense & Sensibility off the shelf and spent several days out of town—in Jane Austen’s world. I could have mustered greater enthusiasm if she’d included a Heathcliff in her pages, but she was a friend of my parents, after all. I met Jane Austen again as a young adult, busy launching my entry-level self in the big city and wondering WILL I EVER FIND LOVE, which is to say, I was meeting my fill of characters and navigating rapid plot twists. Home sick one day, I read Persuasion which led to Northanger Abbey and might have continued except I recovered, went back to work, and lost touch with Jane Austen. Back then, I read without regard to author, subject, or literary orientation and, in the blur of young life before Facebook, relationships fell through the cracks. From that moment, I avoided plot twists. No conflict, please. The tension that makes fiction so compelling, doesn’t translate to real life, and as my life perspective changed, so did my literary perceptions. We read Love in the Time of Cholera aloud on our honeymoon. Heathcliff? GAH. What was I thinking? Books that moved me in my youth no longer had the power. I was aware of Jane Austen’s growing popularity—and Mr. Darcy’s wet shirt, who wasn’t?—but I was too busy changing diapers to get involved. Twenty years passed before running into Jane Austen again. We met by chance in the New York Times Book Review through our mutual friend, The Jane Austen Book Club. By then, I had four sons and a novel-in-progress. Jane Austen was an immortal supernova. My reading program had narrowed to novels reflecting life’s complexity, often leading me to revisit classics, which led to reading all six Austen novels without interruption. Jane Austen spoke to me from between the lines of her prose, a perfect blend of irony and optimism and we became best friends. We agreed on many things, most importantly that bookish women should be the heroines of their own lives. We spent five years together writing My Jane Austen Summer, experiencing ups and downs, including a revelation regarding her father’s trusteeship of a slave-owning plantation in Antigua she never bothered to mention. But we’ve established boundaries and moved on and, thanks to books, discussion groups, and cyber-celebrations, we meet almost every day; one fixed point in the chaos of life. What about you? How did you meet Jane Austen? Welcome, Austenesque revelers! This post is offered in conjunction with Austenesque Extravaganza, a month-long celebration of Austenesque novels and authors hosted by Meredith Esparza. Leave a comment on this post to be included in the drawing for one of 80 Austenesque novels she’ll be giving away. 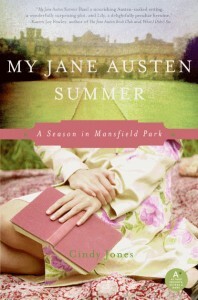 For more information on the festivities and to enroll in her giveaway, visit Austenesque Reviews. 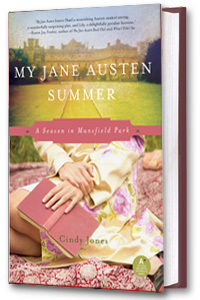 This entry was posted in Cindy Jones, My Jane Austen, My Jane Austen Summer. Bookmark the permalink. Ah, you met Colin Firth, too. Lucky. I met Austen as an undergraduate and did not find any reason to start a friendship with her due to her talkative nature. However, I met her again through P&P 1995 as a working adult, and this time, I jumped the gun with her. I proceeded from friendship to sisterly ties. I met Jane, my close personal friend, through Pride And Prejudice. Although I love all her works, I think Pride And Prejudice is the best for inciting love at first read! I was so like Elizabeth: so sure of my opinions, making a joke of all I couldn’t control, truly trusting in no one. She’s been my “sacred place” ever sense. Many people share your “love at first read” with P&P. Thanks for stopping by! have read them more times than I can count…. You got a good early start! I like to pick up any one of her books, open to a page, and just start reading. Like Joanna, I met Jane Austen in college. I was an English major and had no idea that “Pride and Prejudice” was a romance because we studied it as social commentary. It was only when I saw the Joe Wright film did I fall in love with Jane Austen and her characters. I don’t have my own Jane Austen as a companion yet, but she just might show up soon given my obsession with Austen and Austenesque novels. Considering her narrative voice, I don’t think Jane Austen thought of her book as a “romance” either. Yeah, Austen was definitely not a “romantic” in the traditional sense, though she shares some of their characteristics. She falls between the “age of reason” and the romantics. And it makes me crazy when some “scholars” label her a Victorian. I always feel that the Joe Wright film turned it into P&P by Charlotte Bronte. I’d love to be a fly on the wall at a meeting of Jane Austen and LordByron. (Teehee). A little jealous that you and Dear Jane met properly through books. But, we too were introduced via the captivating performance of Elizabeth Ehle. After that, we became better acquainted through her writings. With each reading and passing year, she shares a little more of herself or I understand her better 😉 in my advancing years. The films and fan fiction bring people to Jane Austen who might have missed her otherwise and this is a great thing! So glad your relationship continues to develop! 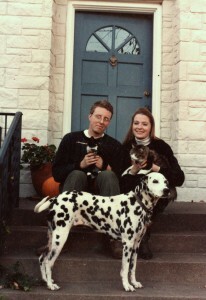 I met Jane 39 years ago, in the summer, when I read a Reader’s Digest Condensed version of P&P. (Don’t laugh, those condensed version are great for readers with a low-narrative tolerance like me as a teenager.) I then promptly forgot her and moved on. We were reacquainted in my late 30s when the 1995 version came to video. 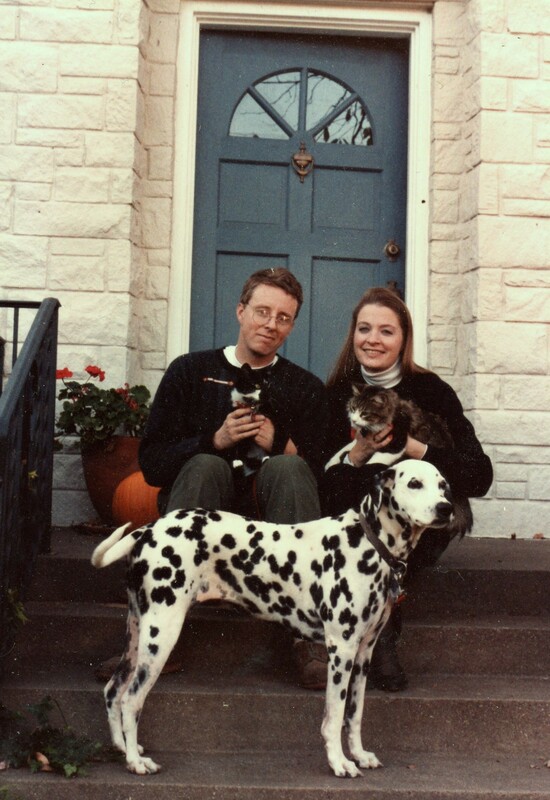 It wasn’t until I saw the ’95 version of Persuasion and read the book that Jane and I got to be great friends. I’m even slogging through Mansfield Park for her sake. I met Ms. Austen when I was a sophomore in high school. My English teacher assigned the class a book review. Something about “Sense and Sensibility” called to me as I was examining the library book shelf. I’m not sure why I was drawn to her, but I’m certainly glad we were introduced. Sense & Sensibility? Was she wearing tweed? Lovely post, Cindy! I love hearing people share their story of meeting Jane Austen. I met her in the Paltrow/Northam edition of Emma @ a Blockbuster while I was trying to find a new movie to watch. Who knew that Jane Austen frequented Blockbusters?!? I especially love your comment about how we meet Jane Austen everyday or even several times a day “thanks to books, discussion groups, and cyber-celebrations!” I love meeting Jane Austen and admirers of Jane Austen in all these places! When I met new people at the JASNA conference last year we always spent the first few moments of conversation relating how we “came” to Jane Austen. Thank you for providing this wonderful celebration where so many like-minded Janeites can gather round! I met Jane through a friend who had read all her books and was a classics reader in general. I became intrigued and decided I wanted to try them. I was hooked shortly after. I met JA when my mom forced me to sit down and watch the 95 film with her, one rainy day. I rolled my eyes (6 hours? Really?) and indulged her and I was hooked from the very beginning by Mrs Bennet’s ridiculousness. Then enter Colin Firth and I was really done for. I didn’t read the book until much later. I’m still attempting to become as obsessed with the rest of the novels as I have with P&P these last 2 years (since I discovered fanfiction). Good luck on getting obsessed with the rest of the novels. Such a treat to look forward to! ps: I love the visual of Jane in a tweed jacket! Thanks, RivkaBelle! Isn’t it funny how JA takes hold when we least expect it. I met Jane Austen when I sat down to watch the BBC Emma, starring Romola Garai and Jonny Lee Miller. Our local library had these cute little bookmarks sitting out promoting the movie. I grabbed one, set my DVR, and immediately I was hooked! I went out, bought all six Austen novels and jumped right in. Since then, I have reread her books and read (and watched) anything else that has to do with our dear Jane and her wonderful characters!! I have a bookmark like that promoting the Masterpiece Theatre Austen-fest a few years ago. They work! Thank you, Anna! Never to late to become old friends. I don’t remember how I first met Jane (it was a long time ago) but I was reintroduced to her recently when my older daughter and I got hooked on the Keira Knightley version of Pride and Prejudice, which spurred my daughter on to read the book – three times in a short period. I had to reread it myself and that is how Jane came blazing back into my life. Wonderful images! I love the mother/daughter bonding over Jane. My mother was an enthusiast for BBC drama, and an avid reader. When I was about ten she came across the 1995 P&P through her friend. I immediately fell in love, if not with the awesome story and cinematic greatness then definitely with Collin Firth. Afterwards, Jane Austen became something my mother and I bonded over, and I made her buy me the Completed Novels of Jane Austen which I rapidly went through, save Mansfield Park. I could never fully appreciate it til last year going through all the novels again. I’ve been completely enthralled with everything Austen related ever since. I love that you bonded with your mother over Jane Austen! Lots of people save MP for last, I did. I came to Jane Austen in my teens. I first read P&P after seeing the A&E/BBC miniseries version. Then I read the rest of her novels and it has been a love affair ever since. We’re both big readers so…yes. I read a book where the main character was reading the classics. I kept thinking about them, until I picked one up. P&P was the second one I read. And I was hooked! I met Jane Austen in high school. A friend of mine raved to me about Pride and Prejudice, so I picked it up and found the language old and the book difficult to get in to at first, but due to sheer stubborness I stuck with it and fell in love with it, and subsequently Jane Austen! 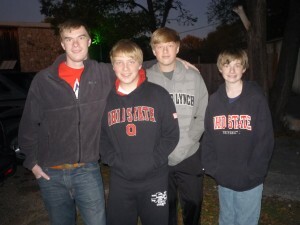 Thank goodness for teenage obstinacy! And thank goodness for friends who read good books! Thank goodness they are still making them! They get better and better. I love that you shared Jane Austen with your daughter–amazing how she continues to appeal to new generations. Dear Cindy, I have commented on your other blog at WordPress here. I didn’t know that this is not the same as WordPress blog. Forgot to mention there that I met her when I was about 12 years old. You got a good, early start! Hey Cindy! Great post! I actually first met Jane in High school in theater. We had an assignment to pick a monologue from a book that we believed had a strong character. On the list was Pride and Prejudice – Elizabeth. I had of course heard of Jane Austen, but never took the time to seek out her books, but was curious now. So I got the book from the library and began to read and I was immediately swept away into her world. I fell in love with the first proposal and chose it for my monologue. After that assignment I actually bought P&P as my first Jane Austen book and still have it on my shelf today. I hope to get the full collection someday! Thank you, Kelly Ann. Great monologue material and an interesting entree into Austen-world!